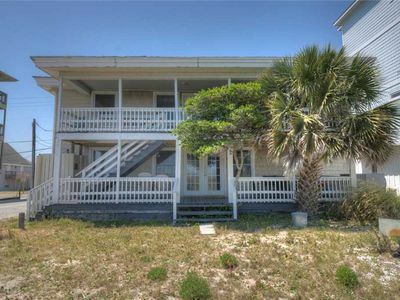 Watch stunning sunrises from the decks of this three story oceanfront duplex. 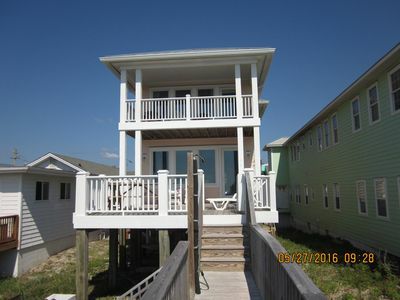 The third story features a large deck which can be enjoyed in the sun or under the covered portion. 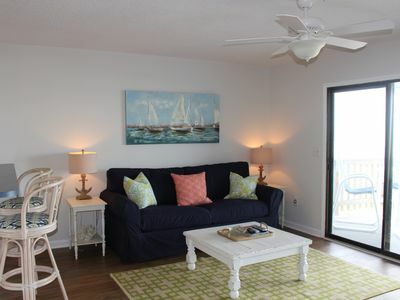 Also on this floor is a den/bedroom with a queen sofa bed, kitchenette, and full bath. 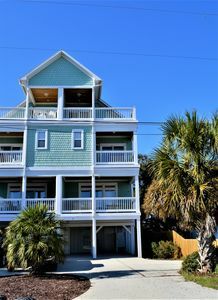 On the second floor is a bright living room and kitchen combo with a queen sleeper, the master bedroom and bath, and another half bath. 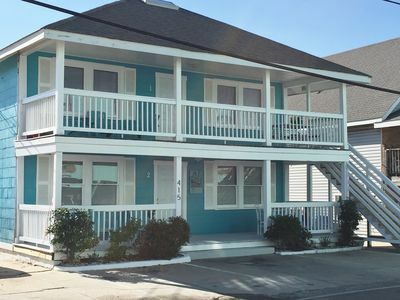 The first floor features a King size bedroom, bunk room with a double bed topped by a single bed, and a full bath. 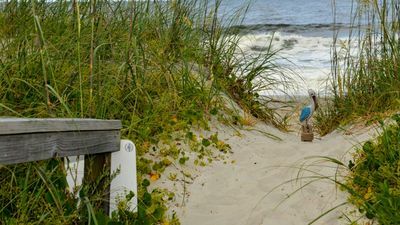 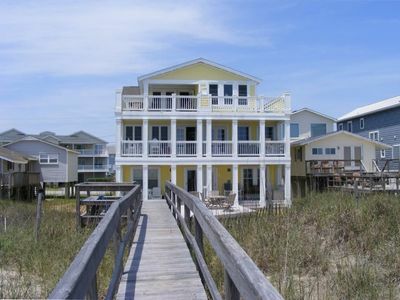 Outside, enjoy a deck with private walkway to the beach. 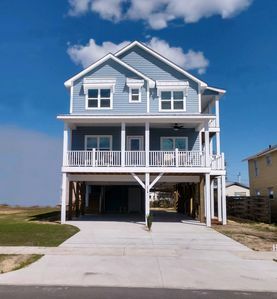 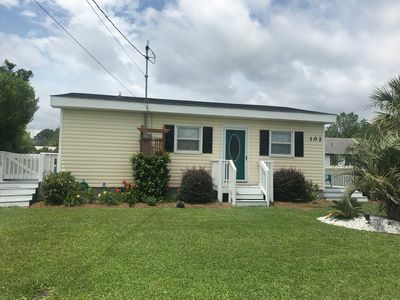 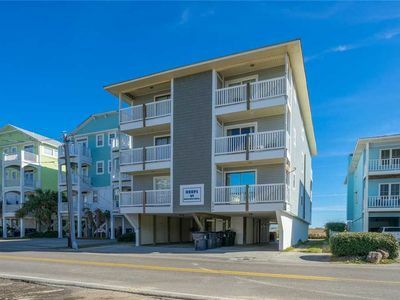 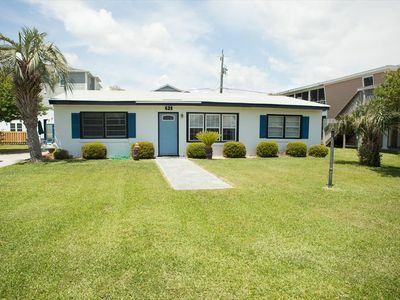 This vacation home comes equipped with an elevator and plenty of seating to enjoy the views from the decks, beach chairs, beach toys, and most amenities that you would want to make your vacation one the whole family will enjoy. 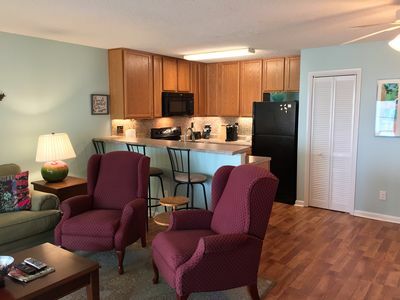 Old timey retro look with all the modern amenities !! 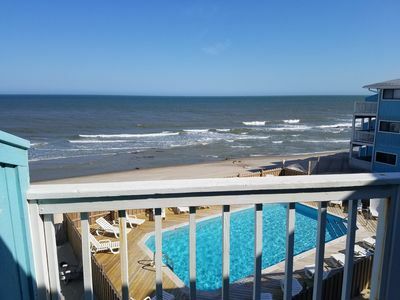 Ocean Front at the Boardwalk! 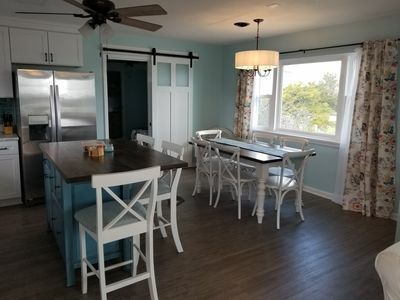 Perfect for Couples and Small Families! 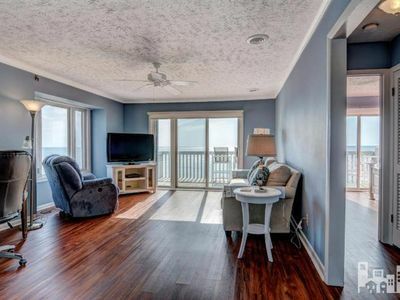 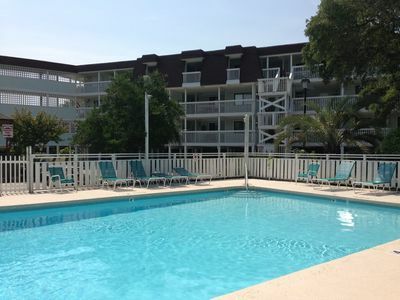 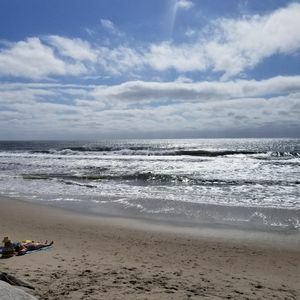 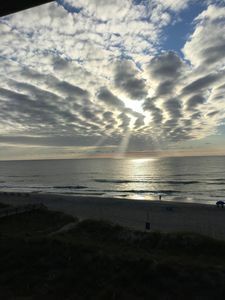 Beautiful Updated Oceanfront Condo with covered parking and Great View!!! 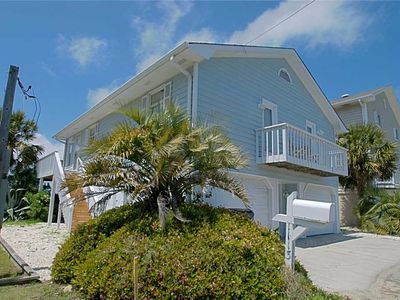 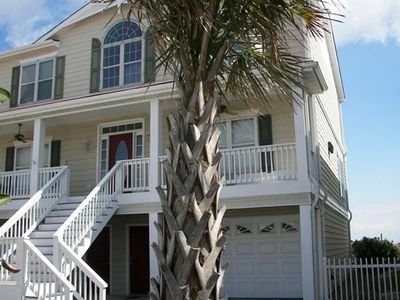 Brand new 5 Br 5Ba in heart of Carolina Beach!